Gunars Bundza wants the volunteers who deliver meals every weekday to his second-floor apartment to know how much he appreciates it. He is 87 and can’t walk much anymore, let alone bring groceries up a flight of stairs. He had just received enough food on Friday, Jan. 18, to last him through the Martin Luther King Jr. holiday. “The volunteers are doing this every day. 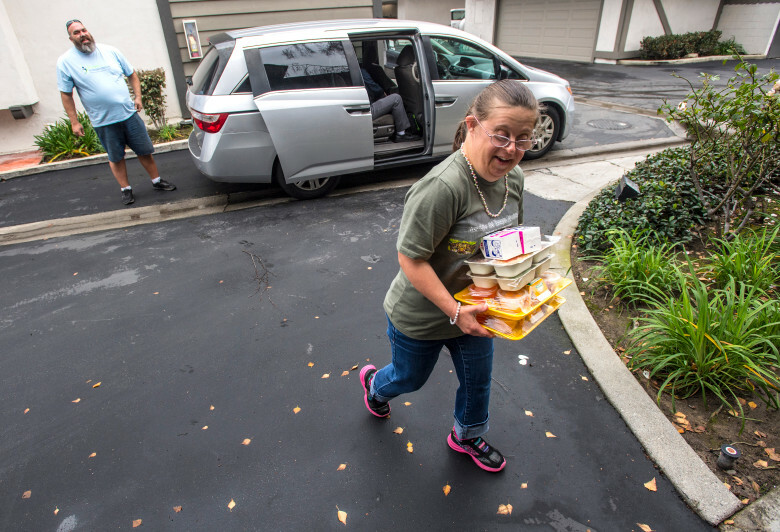 Rain or shine, they’re here,” Bundza said, sitting at a table near the open front door of his studio apartment in Costa Mesa, where volunteer Joey DeCarlo dropped off four meals prepared to his dietary needs.